Foreign Wives And Children Of ISIS Are Held In Syria With Uncertain Future Kurdish officials in northeastern Syria say they are holding 550 foreign women whom they captured after defeating ISIS, as well as about 1,200 foreign children. "I thought the ISIS 'caliphate' would be perfect, like a utopia," says Um Mohammed, who describes having felt discriminated against as a Muslim in the Netherlands and says the militant group's online propaganda drew her in. 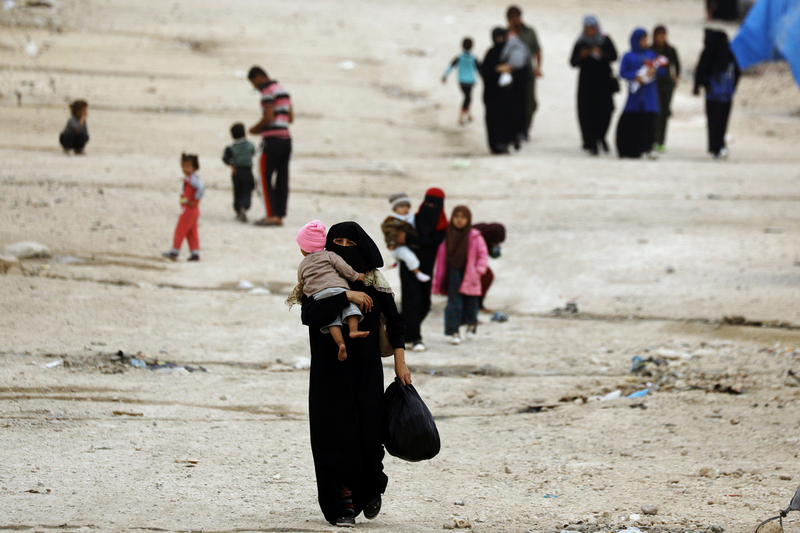 "I don't think [life in the caliphate] was what most people expected. I regret going and having, you know, to go through this." Um Mohammed says she is Dutch, and she speaks English with a Dutch accent. 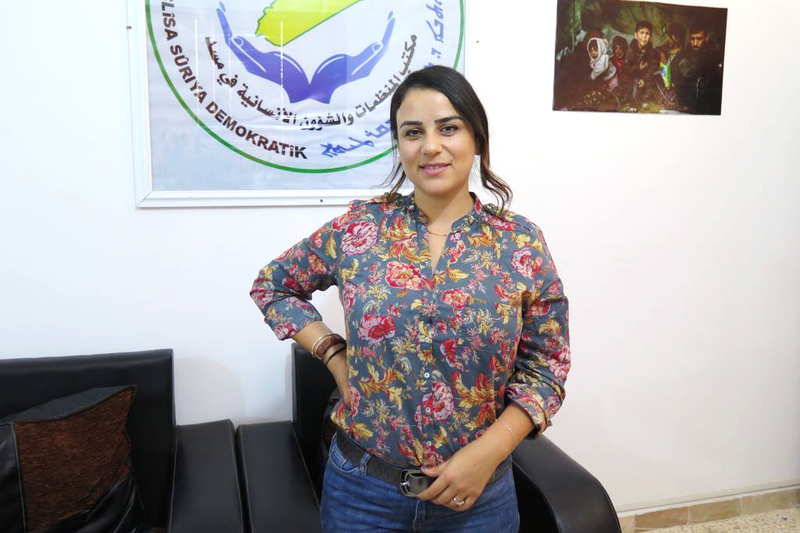 NPR could not independently verify her or the other captives' nationalities, though officials from the Kurdish administration in charge of the area back up their claims of origin. The Kurdish authorities want the governments of the 44 countries that the detainees are from to take back their citizens. Some countries — notably Sudan, Russia and Indonesia — have taken some people back. But most governments have refused to engage, including countries in the U.S.-led coalition that backed the Kurdish administration's militia to fight ISIS and take this area. "Just like we fought terrorism together, we must stand together in dealing with the aftermath," says Abdul Karim Omar, who co-chairs the Kurdish administration's foreign affairs office. "These countries should take responsibility for their citizens. It's part of the effort to defeat ISIS." Kurdish officials say they cannot simply release the women and child detainees and allow them to leave their territory because many no longer have passports or other travel documents — and because a minority still share ISIS' ideology. Zozan Alloush is the co-chair of development and humanitarian affairs in the Syrian Democratic Council. "I'm a women's rights activist, and I don't like seeing women all the time as victims. But in this case, most of them really are victims," she says. "We cannot leave them free," says Zozan Alloush, the co-chair for the Kurdish humanitarian affairs committee overseeing the camps where the women and children are held. "We know that some of them have been members of ISIS and that they are not normal women. We need to find a realistic solution." At first, the local administration tried to keep the captured foreign women and children in shelters alongside Syrian civilians displaced by the war. "But then some hard-liners among these women became creating problems," says Alloush. She describes how one group of women whipped the Syrian wife of an ISIS fighter after they found her smoking and beat other women who tried to remove their traditional, all-covering clothing called a burqa. The foreign captives were then transferred to separate areas in the camp. Some months ago, she decided to play music in one of the camps. Setting up speakers at the edges of the facility, the crooning notes of Egyptian singer Amr Diab's pop song Nour El Ein ("Light Of My Eye") washed over the women and children. The results were mixed. "Music was forbidden under ISIS, and at first, they didn't want to listen. Mothers told their children to put their hands over their ears so they wouldn't hear," Alloush says. For a short while, she thought she had a breakthrough. "After several times of doing this over, like, three months, they started to listen to the music — and then, they started to dance," she says. But then the wife of a senior ISIS emir arrived in the camp and scolded others for softening in this way. "So everybody put the burqa back on, and there was no more dancing." Alloush says that based on observing the women, their way of dress, religious practice and other customs, only a minority of them appear to follow ISIS' ideology. "I'm a women's rights activist and I don't like seeing women all the time as victims. But in this case, most of them really are victims," she says. Many were teenagers when they were lured by ISIS recruiters on false promises or were dragged to Syria by violent husbands. One woman who tells such a story is Um Asma, a Dutch mother in her 30s, whose three children are in captivity with her. She says she only went to Syria to persuade her husband to come back to the Netherlands. He refused, and once she was there, it wasn't easy for her and her children to leave ISIS territory. She has lost contact with her husband — she believes he stayed to continue fighting with ISIS and says she wants nothing more to do with him. "It's because of him that I am in this situation now," Um Asma says. "That chapter of my life, my relationship with him, is over now." Um Asma says she realizes that citizens of her home country might consider her and women like her "terrorists." "I understand," she says, "but I want to say the women who I know, they are not dangerous because we are living like how we were living in Holland." She says that while in ISIS territory, she spent her days caring for her children and doing domestic chores and never participated in militant operations. Still, Um Asma believes that if she should be allowed to return to the Netherlands, she may go to prison and her children would stay with relatives. It's a painful solution she says, but necessary if it means her children can have a better life in a place far away from this war.